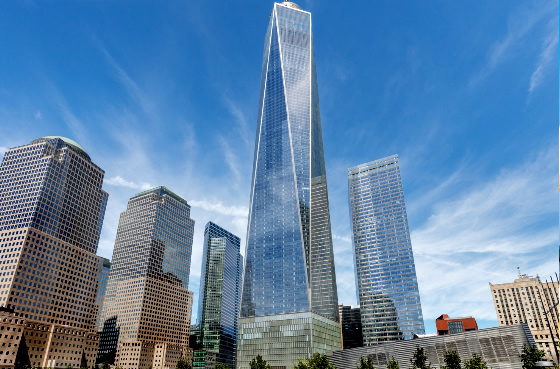 Soaring above the city at 1,776 feet, One World Trade Centre is the tallest building in the western hemisphere, and is located in Manhattan’s Financial District, also commonly referred to as FiDi, which comprises the offices and headquarters of many of the city’s major financial institutions, including the New York Stock Exchange and the Federal Reserve Bank of New York. This global serviced office provider provides top of the range offices suites, along with supporting meeting room, Board rooms, generous lounge and breakout areas, and a dedicated highly trained centre team to support clients needs. As well as providing a market leading IT Service with high speed Internet and WiFi to service clients needs. Floating above a 55,000 sq. ft. retail concourse full of shops restaurants and cafes. Below Ground there is quick and convenient access to WTC Transportation Hub connecting to eleven subway lines A, C, E, R, J, Z and 1-5. 37 Minutes drive from JFK International Airport and 23 minutes drive from LaGuarda Airport. 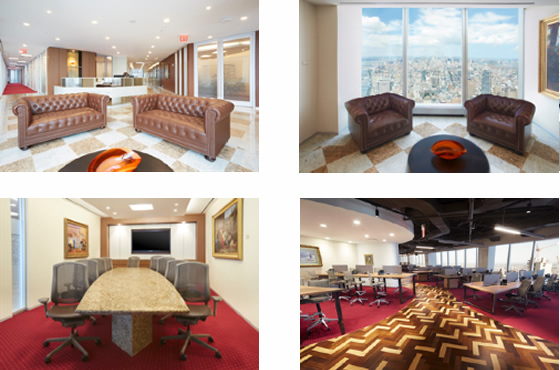 Looking for a serviced office in New York?